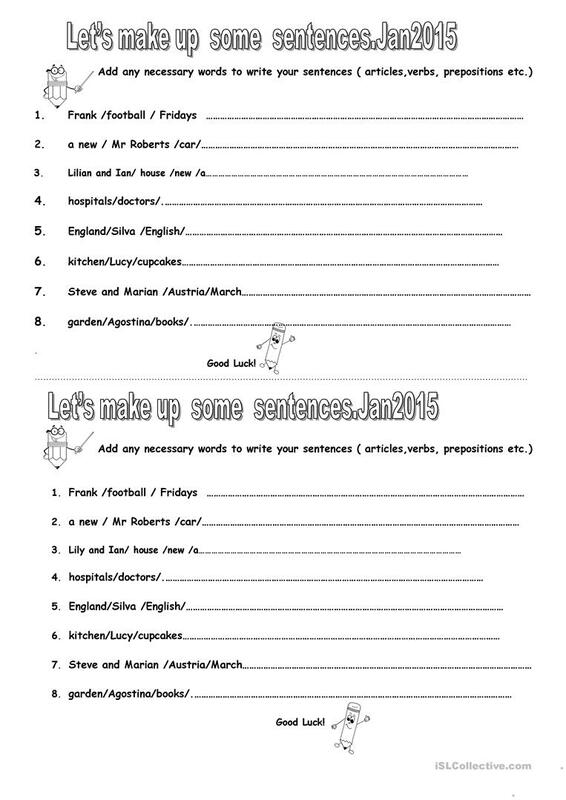 B&W ws to practise sentence order and use of articles, verbs, prepositions etc. The present downloadable worksheet is meant for high school students, elementary school students, adults and students with special educational needs, learning difficulties, e.g. dyslexia at Beginner (pre-A1), Elementary (A1) and Pre-intermediate (A2) level. It is a valuable material for strengthening your students' Speaking, Reading and Writing skills.